We all know what a headache it can be when running out of backup storage for a data protection solution. Moving backups around can be a major ordeal. Reconfiguring jobs can also be tremendously management intensive as well as and without automation can even be impractical. 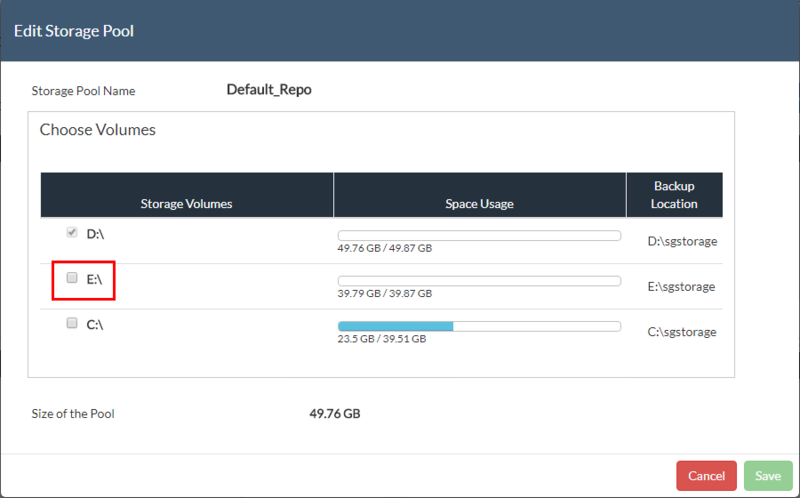 Vembu BDR Server v3.8 introduced the new Storage Pool Management that allows easily adding storage to the backup repositories. This functionality can even be implemented on the fly without reconfiguring backups or relocating them before adding to the storage pool. 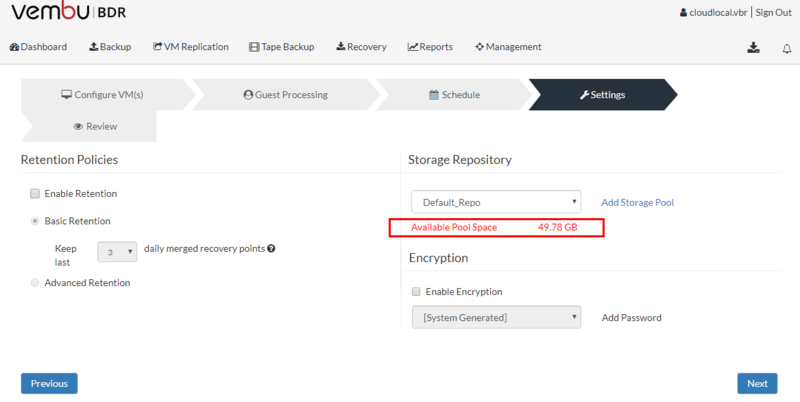 Let’s take a look at Adding Backup Space with Vembu BDR Suite Storage Pools and see how this functionality can make managing backup storage extremely easy. In the test environment used below, I have a Vembu BDR Suite v3.9 server that had a backup repository with a single drive backing the underlying storage. I had already create a backup of a virtual machine from VMware vSphere. Without changing or moving anything, we can add additional space to the backup repository. Below, we note the size of the storage pool used for the VMware virtual machine backup job. If we navigate the physical drive that is backing the default repository, we can see the folder structure along with the backup of the virtual machine that was ran. On the test virtual machine, I added another physical drive to the Vembu BDR Server. After bringing the disk online, initializing, and formatting the volume, we now have another healthy physical drive that can be added to the backup repository using the new Vembu BDR Suite storage pool feature. To view the current configuration of the storage pool and to add space, we navigate to the Management >> Storage Management section of the interface. Note the space allocated below tot eh Default_Repo. We can click the “edit pencil” icon under the Action area to edit our storage pool. Note below, we are shown which physical drives are backing the default storage pool. 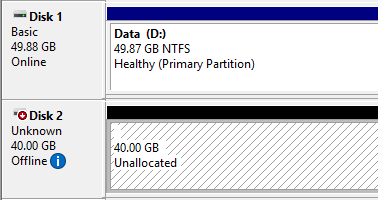 The new drive we added is assigned to E:\. Here, we simply check the box next to our new drive we want to add to the storage pool. After, checking the box, we simply hit the Save button. Our space changes immediately with the Default_Repo storage size. Note how we now have the additional space when compared to the earlier screenshot. When we navigate to the physical E:\ drive, we see the Vembu BDR Suite folder structure has been created on the new drive and is ready for service. The storage pool management as we have shown doesn’t require any manipulation of existing virtual machine backups which is awesome. There is no reformatting or reconfiguration needed. The existing backups simply function as expected and the additional space is added as an extent. This hybrid volume manager allows flexibly scaling storage repositories based on customer’s needs. Additionally, it supports adding different storage media such as local drives, NAS (NFS and CIFS) and SAN (iSCSI and Fiber Channel) to the same Vembu BDR Server. This provides tremendous flexibility in meeting and scaling storage needs as environments and requirements grow and change. This allows aggregating various space from available volumes with differing technologies as mentioned. Adding Backup Space with Vembu BDR Suite Storage Pools provides administrators tremendous flexibility in scaling their backup repository space based on the needs of their environments. Size requirements often change and initial sizing of a server may need to be expanded to encompass added environments or technologies. By allowing the easy addition of storage that is presented to Vembu as the same logical backup repository means that all the heavy lifting and complexity of expanding RAID arrays or reformatting volumes is gone. There is no need to move backups or reformat storage. The repository is simply expanded on the fly logically and the underlying storage is managed by Vembu automatically. Download a free trial copy of Vembu BDR Suite here.